Breasts & Piranhas, two New International Posters for 'PIRANHA 3DD' Arrive! Two new international posters have arrived online for John Gulager's follow-up to Piranha 3D. Titled Piranha 3DD the sequel is scripted by Marcus Dustan & Patrick Melton. The movie stars Danielle Panabaker, Matt Bush, Chris Zylka, David Koechner, Meagan Tandy, Paul James Jordan, Jean-Luc Bilodeau, Hector Jimenez, Adrian Martinez, Clu Gulager, Gary Busey, Katrina Bowden, Ving Rhames, Christopher Lloyd, Paul Scheer & returns us to the world of Piranhas, no plot & breasts. Hit the jump for the details. 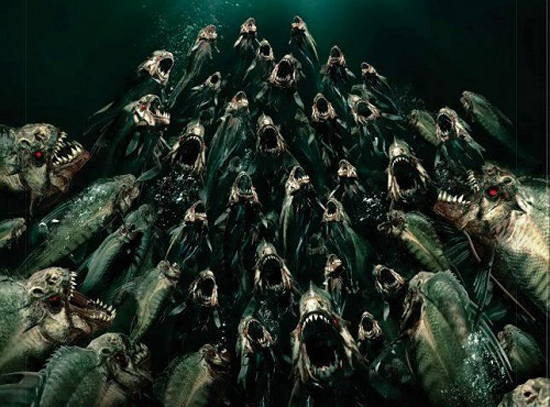 Synopsis: "Having awoken from their spring break extravaganza at Lake Victoria, the swarm heads upstream where they look to make a meal out of Big Wet, a local water park where when it comes to fun, nobody does it wetter! Though they came to get wet, get loaded and get some, the staff and patrons get more than they bargained for when they must face the fiercest, most bloodthirsty piranhas yet. Lead by the strong-willed, studious Maddy and her friends, Barry and Kyle, the trio must dive in and take on these man-eating creatures using every ounce of their being…but can they be stopped? Shot in 3-D and feauturing Esquire Magazine’s “2011 Sexiest Woman Alive,” Katrina Bowden and the return of Christopher Lloyd, Paul Scheer and Ving Rhames alongside fresh bait Gary Busey and David Hasselhoff, the film that took an $80 Million bite out of the box office is back for more…only this time it has double the terror and double the D!" Images Via BloodyDisgusting & ZoneFears. 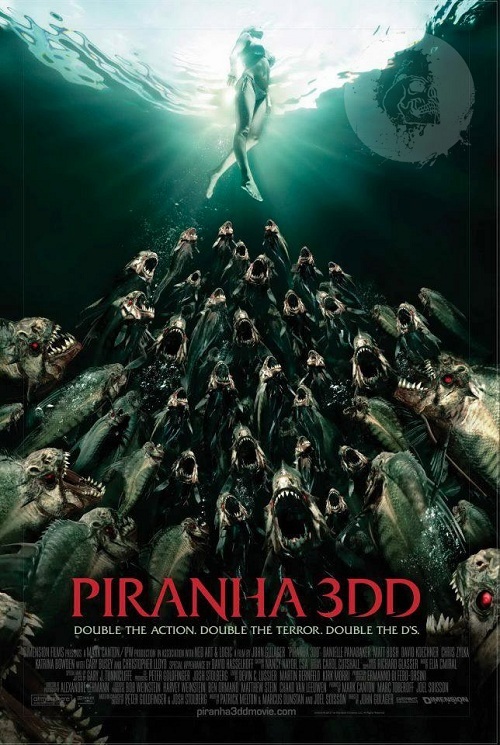 I'm reading: Breasts & Piranhas, two New International Posters for 'PIRANHA 3DD' Arrive!Tweet this!